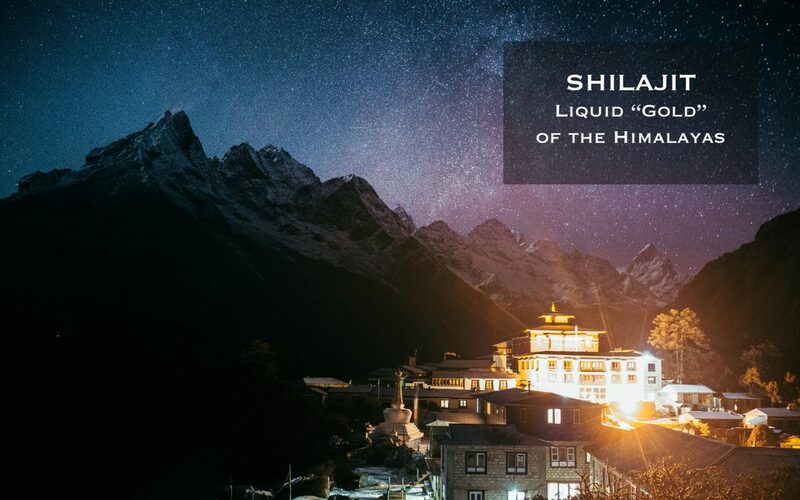 Shilajit has been used safely and effectively in Ayurveda and Tibetan Medicine, and its mention is recorded in ancient texts going back a few thousand years. It is a compound found primarily in the Himalayas, areas of Central Asia, and also places in Europe, particularly Scandinavia. Its latin name is Asphaltum punjabianum. It is composed of fossilized or decayed plants (primarily resin containing plants) that have formed concentrated conglomerations of organic and inorganic substances. It is found when heat from the sun causes the tar like resinous liquid to ooze forth from cracks in the rocks. The ancient Ayurvedic text Charaka Samhita says that “metals like gold and others are present in the rocks which receive heat and secrete the exudate which is called Shilajit”. The text then goes on to describe different types of Shilajit based on their taste, color, and odor. 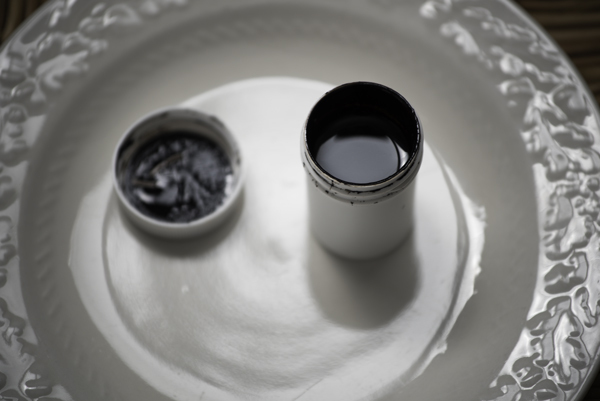 The process of Shilajit formation takes place over many centuries. During the plants’ lifespans, they absorb numerous mineral rich nutrients found in the environment which are still contained within the Shilajit when it is harvested. 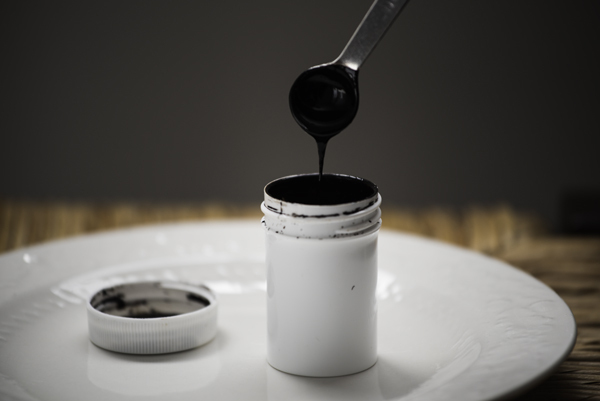 Shilajit is collected in its raw form, and then purified and processed in special ways according to Ayurvedic tradition to remove debris and make it more bioavailable. Shilajit’s primary constituents are humic acid, fulvic acid, phospholipids, and minerals like iron, calcium, selenium, magnesium, potassium, and zinc. This makes it a very rich source of minerals that are normally quite deficient in our soil and food. Fulvic acid has many benefits of its own, including assisting in detoxification of the tissues, enhancing absorption and digestion of nutrients, antioxidant capabilities, and immune system enhancement. What is Shilajit Used For? The most traditional use of Shilajit in Himalayan medicine is a Rasayana or rejuvenating tonic, and it is said to balance all 3 doshas (constitutions) in Ayurveda. In this sense, it is taken regularly to reduce the effects of aging, promote virility and fertility, enhance strength and radiance, improve cognition and intellect, boost energy, and generally retain youthful characteristics. It enhances the function of mitochondria in the cells (the ATP powerhouses of the body responsible for energy production), and can, therefore, be useful in treatment of conditions resembling Chronic Fatigue Syndrome, and other deficiency type imbalances. The constituents of Shilajit help facilitate efficient movement, transportation, and absorption of nutrients and vital minerals, making the body less susceptible to stress responses, and able to maintain homeostasis. Most forms of Shilajit are considered a cooling medicine and anti-inflammatory in nature. These qualities make Shilajit useful for treating soft tissue tears, fractures, and sprains as a topical application. Inflammatory conditions like arthritis respond well. In fact, Shilajit is considered an excellent remedy for cooling and healing gastric ulcers, a common inflammatory disorder in our modern day culture. In addition, Shilajit has been found to have antiviral and antibacterial action (factors in some inflammatory conditions). It has a specificity towards herpes type viruses. The most traditional use of Shilajit in Himalayan medicine is a Rasayana or rejuvenating tonic, and it is said to balance all 3 doshas (constitutions) in Ayurveda. In this sense, it is taken regularly to reduce the effects of aging, promote virility and fertility, enhance strength and radiance, improve cognition and intellect, boost energy, and generally retain youthful characteristics. Anemia and related disorders are classified as blood deficiencies in TCM. Due to Shilajit’s high concentration of iron and its consequent blood building ability, it is definitely useful in treating this class of disorders. Because the minerals in Shilajit are in ionic form and “charged”, they are more easily absorbed in the digestive tract and require less energy to break down. 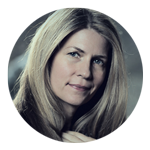 In Western medicine, metabolic syndrome, diabetes, and heart disease have an intimate relationship with one another, and there is some co-dependence in how they physiologically occur. They are becoming alarmingly common in our 1st world cultures. Metabolic syndrome (or Syndrome X) is the term applied to the condition that results from overconsumption of refined foods, particularly those with white sugar and flour, and unhealthy fats like hydrogenated oils. The basis of Syndrome X is hyperinsulinemia or insulin resistance. In essence, there is overproduction of insulin by the pancreas due to body cells’ unresponsiveness to the insulin. The pancreas produces more and more insulin to try to force it, along with nutrients that are hanging out in the blood (normally carried into the cells with the insulin) into the cells. The concentration of insulin and sugars lingers in the blood for relatively inordinate amounts of time, causing damage in a myriad of ways. Eventually, the pancreas and adrenal glands become exhausted in their hormone secreting efforts, trying to maintain homeostasis through blood sugar spikes and cell nutrient depletion. Associated with Syndrome X is a long list of chronic diseases and imbalances, including type 2 diabetes, obesity, coronary artery disease, hypertension, high cholesterol, and arteriosclerosis. Shilajit helps overcome insulin resistance, reduces blood glucose and total cholesterol while maintaining healthy HDL levels, and possibly helps repair damage caused to the pancreas. In addition, its adaptogen effects assist the adrenal glands to deal with added stress. Shilajit has been used in Ayurveda for the treatment of anxiety, psychosis, depression, and epilepsy. In one animal brain injury study, it was shown to decrease brain edema, disruption of the blood brain barrier, and intracranial pressure. There have been pilot studies showing that Shilajit shows promise in affecting outcomes for Alzheimer’s patients. Because of its constitution, Shilajit has an affinity for the structural tissues of the body, such as hair, skin, nails, and bones. It has been used in Russian and Ayurvedic medicine as a bone regeneration stimulator. In one study, it was shown that Shilajit may help bone regenerate in degenerative conditions. Shilajit dispels and dissolves phlegm, and relieves cough, making it useful in inflammatory conditions of the respiratory tract with accumulation of mucous. Shilajit can be purchased in different forms, including powder, capsules, paste, liquid, and even solid rock. Shilajit is also found with other herbs in traditional formulas, as in the Tibetan formula Brag-Zhun 9, used for GI inflammatory imbalances. Keep in mind that in Ayurveda and Tibetan Medicine Shilajit is processed first before use for purification and enhancement of properties. It is always best to purchase Shilajit from a reputable source to ensure such measures have been taken, and that you are getting the best quality product. Liquid resin is generally considered the best form of quality Shilajit amongst practitioners. Buddha’s Alchemy carries Himalayan Shilajit in resinous liquid form. We source our Shilajit from a reputable and skilled Tibetan Medicine doctor. Liquid Shilajit can be added to boiled warm water for consumption. If appropriate to constitutional presentation, it could be added to other carriers such as milk.